please visit our main restoration website. With over 100 year’s experience, H. Crowther Ltd undertakes the restoration of ornamental leadwork, from simple, small repairs to full restorations. 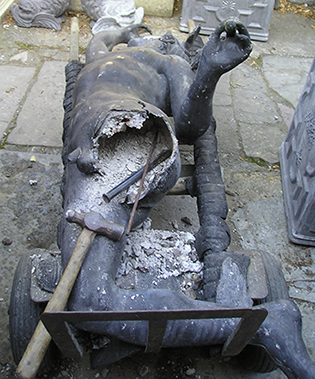 Scroll down to see details of some of our restoration work. 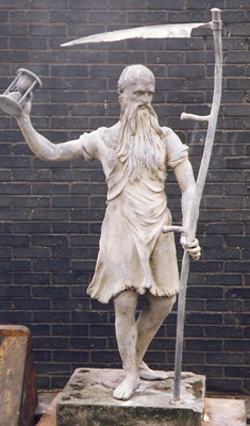 Here (above & right), Father Time, cast by John Van Nost (fl. 1677-1710) at Hyde Park Corner, c. 1700, illustrates clearly that undetectable repairs and restorations are handled by H. Crowther Ltd in a sympathetic manner that retains a piece’s patina and antique integrity. 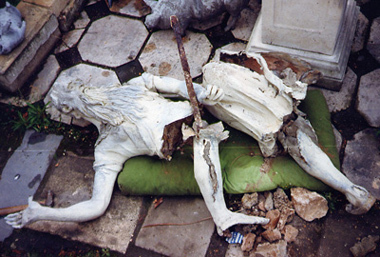 To the left is pictured a good example of an early H. Crowther piece with severe damage. From a dispute with a tractor some 30 years before, it laid in an outbuilding until recently, considered beyond hope and of scrap value only. Small and stitch-in-time jobs make up a good proportion of our restoration work. 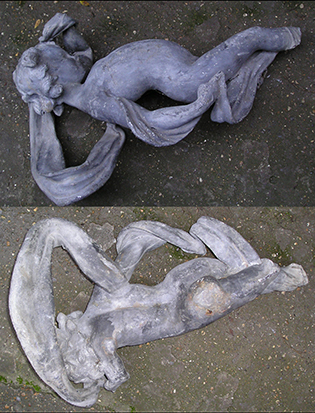 A few photos of the piece and an idea of its size emailed to us is usually a good starting point for us. With a pragmatic approach to each item, in almost every case repairs to these modest-sized pieces can be justified. 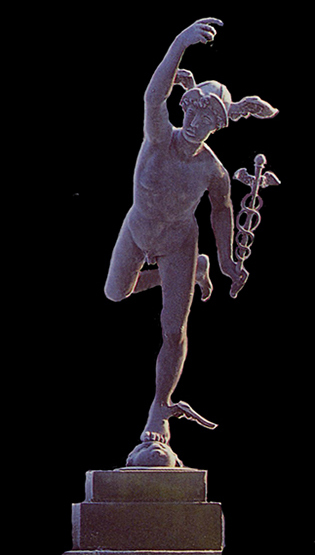 A rare 17th century lead figure of Hermes by John van Nost. 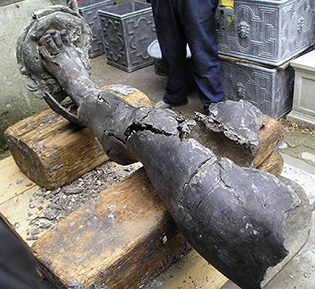 This figure was discovered in appalling condition in Monmouthshire. Although having been subjected to many ill-advised repairs over centuries, it remained complete. It was brought back to its original condition by us, retaining its antique integrity and aged patina. 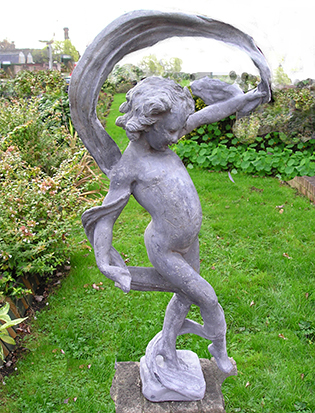 There is one other known casting of this in existence, which is at Melbourne Hall, Derbyshire.